Custom made for the Samsung Galaxy S8, this rose gold XRing case from Olixar provides excellent protection and a handy finger loop to keep your phone in your hand, whether from accidental drops or attempted theft. 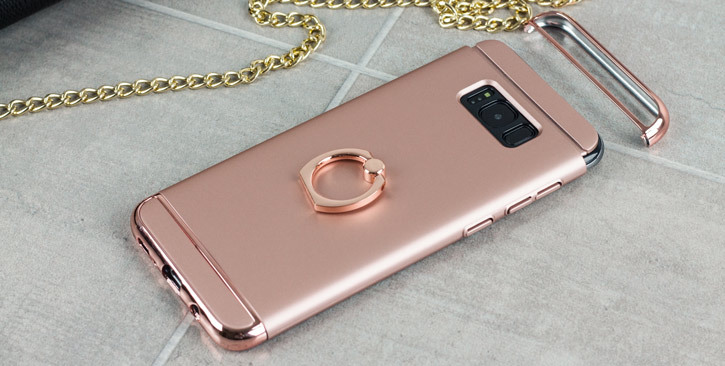 I absolutely love it.Looks amazing.ver solid phone case.Realy worth the money.Looks a lot more expensive.I am glad i bought it. 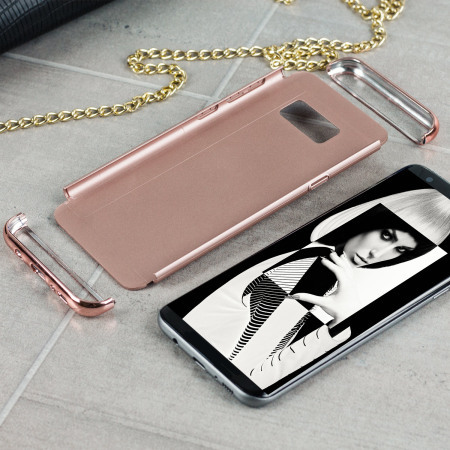 Each XRing case is made from a special strong and lightweight durable material, providing you with long lasting protection for your Galaxy S8 without making it cumbersome. 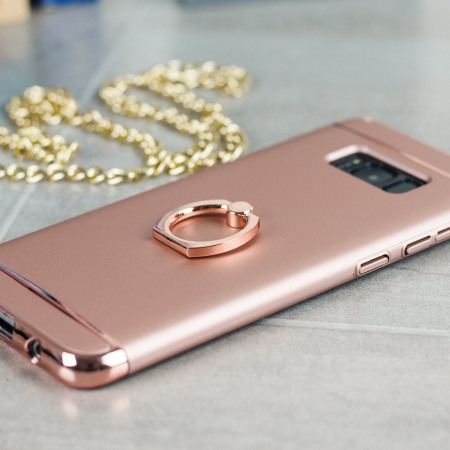 The XRing gets its name from an ingenious finger loop system on the rear of the case. This loop folds flat and out of view if you do not want or need it. 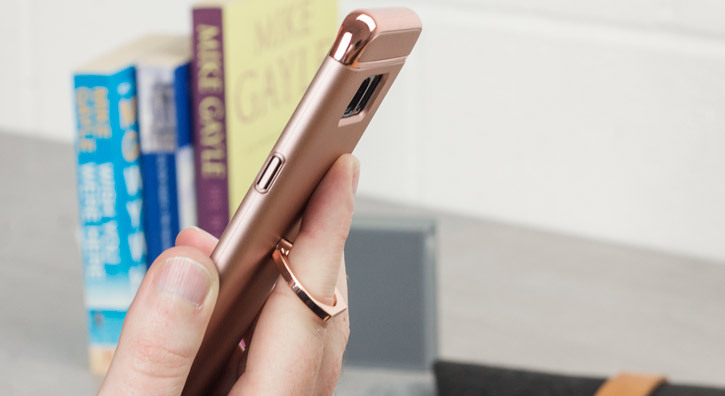 But if you do, simply pull the loop out, slip your finger through and you have an extra secure grip on your phone. 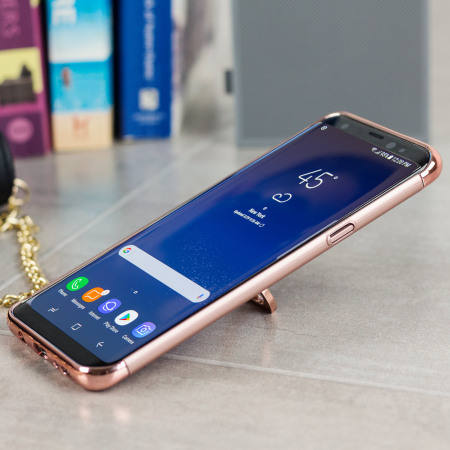 This is not only important in the sense that you will not drop your phone under any circumstances, but also in the sense that your Galaxy S8 cannot be snatched from your hand. 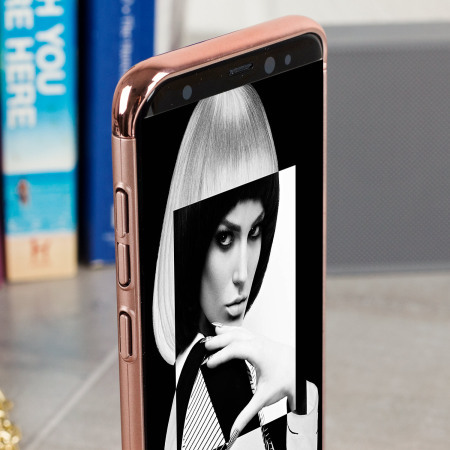 So, security against damage and security against theft - that's the beauty of XRing. 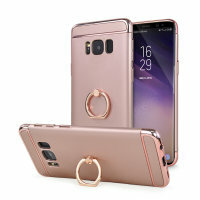 Another benefit of the XRing is that the loop can also perform as a handy viewing stand. 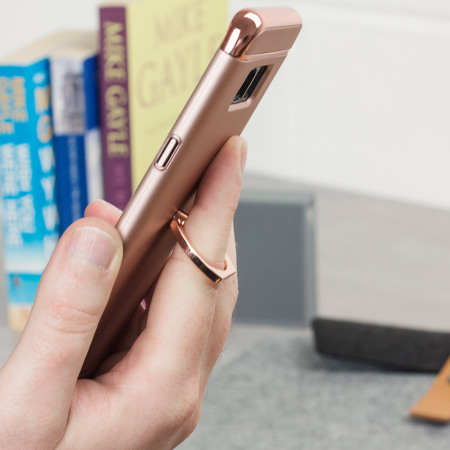 Just pull the loop out to its full extent and rest your phone at an angle on a flat surface. 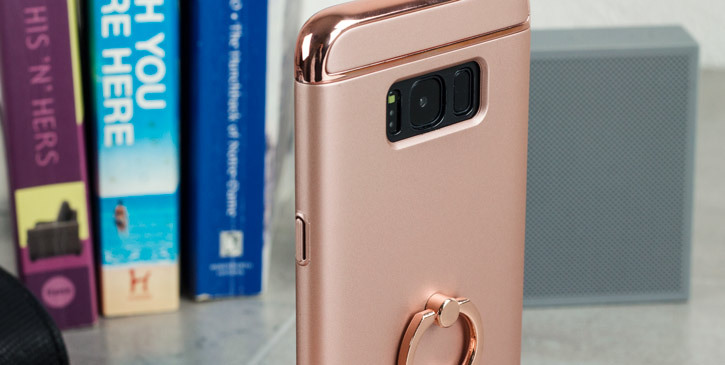 The loop will prop the iPhone up at a perfect viewing angle for watching media. 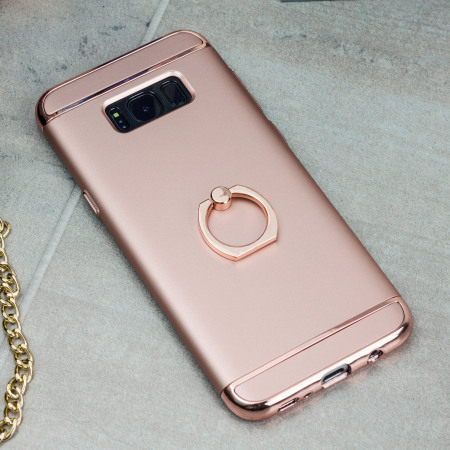 The XRing case is designed to be slim, lightweight and strong - so you can be assured that this case will add virtually no extra bulk to your S8 so it will still fit in your pocket with ease. 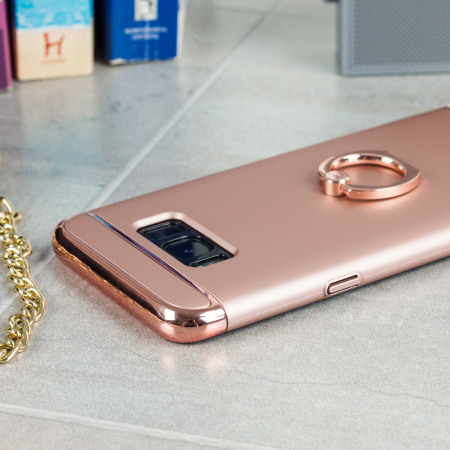 Each Olixar XRing has been designed specifically for the Samsung Galaxy S8 and features cut-outs for the various ports and features such as the rear facing camera.